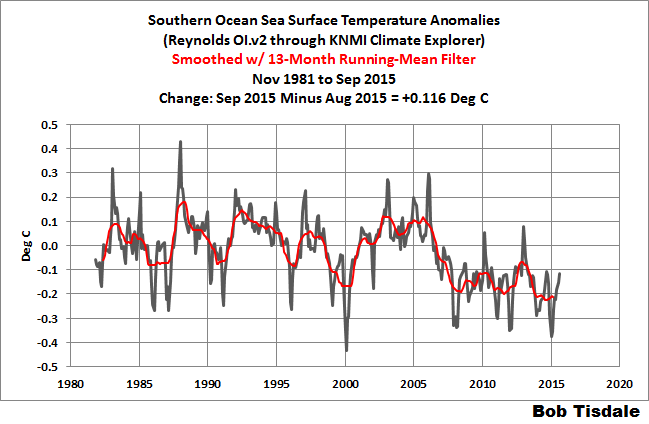 This entry was posted in Hiatus, NOAA ERSST.v4, SST Dataset Info, The Pause. Bookmark the permalink. They know better; it is not honest work on their part, as the points that have been so easily brought out against it (by you and others) make plain. And that means they are not going to admit anything to you, or to any honest physical scientist. The political narrative that they (and their superiors/government grantors) serve demands a haughty independence towards skeptics of their “consensus science”. I don’t believe in speaking softly to such, without a big stick to motivate them to good behavior. It is a simple matter of absolute power corrupting absolutely, for an academic. They have nothing to lose by their criminally irresponsible behavior; they are all in, for too long. And keep reminding him every 2 weeks that you are waiting for his reply! Don’t hold your breath while waiting for the reply, Bob. Pingback: May 2015 Global Surface (Land+Ocean) and Lower Troposphere Temperature Anomaly & Model-Data Difference Update | Watts Up With That? Pingback: NOAA Releases New Pause-Buster Global Surface Temperature Data and Immediately Claims Record-High Temps for May 2015 – What a Surprise! | Watts Up With That? Pingback: Nieves et al. 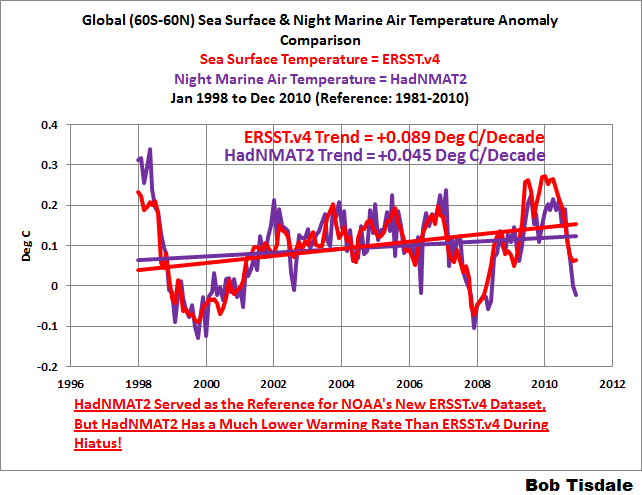 – Another excuse for ‘the pause': Redistribution of Heat in Oceans | Watts Up With That? Pingback: Thanks partly to NOAA’s new adjusted dataset, tommorrow they’ll claim that May was the ‘hottest ever’ | Watts Up With That? Pingback: Both NOAA and GISS Have Switched to NOAA’s Overcooked “Pause-Busting” Sea Surface Temperature Data for Their Global Temperature Products | Watts Up With That? 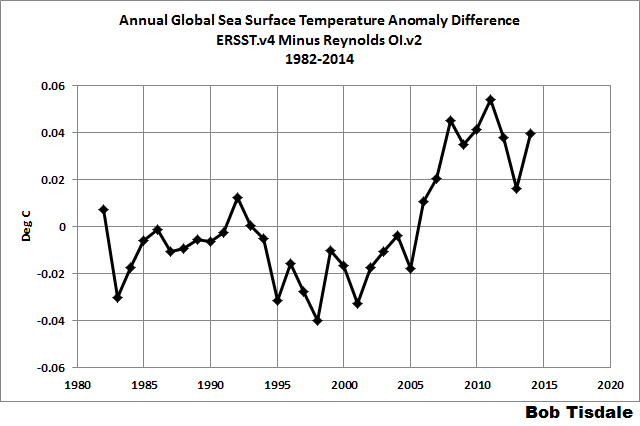 Pingback: The Three Faces of the GISS Land-Ocean Temperature Index (LOTI) | Watts Up With That? 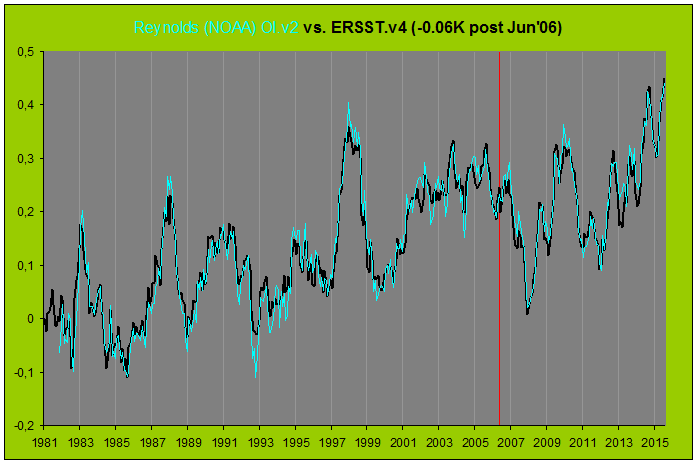 Pingback: Fundamental Differences between the NOAA and UAH Global Temperature Updates | Watts Up With That? It would add clarity to Climate Science if they actually CONSULTED a statistician. The butchery of stats has just gone on too long. Way too long. Dives me nuts. Pingback: Tamino (Grant Foster) is Back at His Old Tricks…That Everyone (But His Followers) Can See Through | Watts Up With That? Pingback: Yet Even More Nonsense from Grant Foster (Tamino) et al. 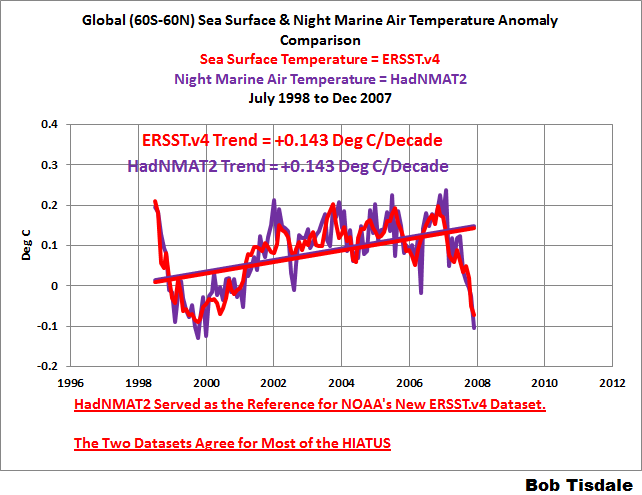 on the Bias Adjustments in the New NOAA Pause-Buster Sea Surface Temperature Dataset | Watts Up With That? Pingback: Halfway to Hell? – Alarmists are Growing Desperate in Their Efforts to Influence Public Opinion | Watts Up With That? Pingback: July 2015 Global Surface (Land+Ocean) and Lower Troposphere Temperature Anomaly & Model-Data Difference Update | Watts Up With That? Pingback: August 2015 Global Surface (Land+Ocean) and Lower Troposphere Temperature Anomaly & Model-Data Difference Update | Watts Up With That? Pingback: September 2015 Global Surface (Land+Ocean) and Lower Troposphere Temperature Anomaly & Model-Data Difference Update | Watts Up With That? The question is: What happened back then? What was so special about that particular summer? It makes the shift in 2006-07-08 easier to see. Thanks. I’ll have to take a closer look. Pingback: October 2015 Global Surface (Land+Ocean) and Lower Troposphere Temperature Anomaly & Model-Data Difference Update | Watts Up With That? 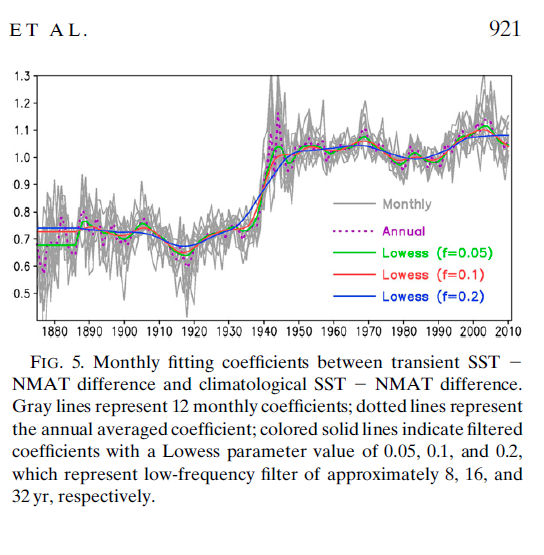 Pingback: Pause Buster SST Data: Has NOAA Adjusted Away a Relationship between NMAT and SST that the Consensus of CMIP5 Climate Models Indicate Should Exist? | Watts Up With That? This field of endeavor would greatly profit from losing our current political protection that puts all PC approved work on a lucrative pedestal, while depriving all others the right to disagree on base of their valid work. In a normal democracy, any point of view has an equal place and validity without threat of losing your livelihood for saying what democratically elected current tyrant in charge deems wrong. The last time I have had to escape from, was Stalin dictatorship over Poland. In USA, it will take only one more year, so I can wait it out. Pingback: November 2015 Global Surface (Land+Ocean) and Lower Troposphere Temperature Anomaly & Model-Data Difference Update | Watts Up With That? Pingback: Busting (or not) the mid-20th century global-warming hiatus | Climate Etc. Pingback: Busting (or not) the mid-20th century global-warming hiatus | Watts Up With That? Pingback: January 2016 Global Surface (Land+Ocean) and Lower Troposphere Temperature Anomaly Update | Watts Up With That? Pingback: February 2016 Global Surface (Land+Ocean) and Lower Troposphere Temperature Anomaly Update | Watts Up With That? Pingback: March 2016 Global Surface (Land+Ocean) and Lower Troposphere Temperature Anomaly Update | Watts Up With That? Pingback: April 2016 Global Surface (Land+Ocean) and Lower Troposphere Temperature Anomaly Update | Watts Up With That? Pingback: May 2016 Global Surface (Land+Ocean) and Lower Troposphere Temperature Anomaly Update | Watts Up With That? Pingback: June 2016 Global Surface (Land+Ocean) and Lower Troposphere Temperature Anomaly Update | Watts Up With That? Pingback: July 2016 Global Surface (Land+Ocean) and Lower Troposphere Temperature Anomaly Update | Watts Up With That? Pingback: August 2016 Global Surface (Land+Ocean) and Lower Troposphere Temperature Anomaly Update | Watts Up With That? Pingback: September 2016 Global Surface (Land+Ocean) and Lower Troposphere Temperature Anomaly Update | Watts Up With That? Pingback: October 2016 Global Surface (Land+Ocean) and Lower Troposphere Temperature Anomaly Update | Watts Up With That? Pingback: November 2016 Global Surface (Land+Ocean) and Lower Troposphere Temperature Anomaly Update | Watts Up With That? Pingback: December 2016 Global Surface (Land+Ocean) and Lower Troposphere Temperature Anomaly Update – With a Look at the Year-End Annual Results | Watts Up With That?